The Complete Review of MIUI Screen Recorder - by IT ADDA - IT ADDA! MIUI Introduced its own Screen Recorder, and this feature worth your attention! 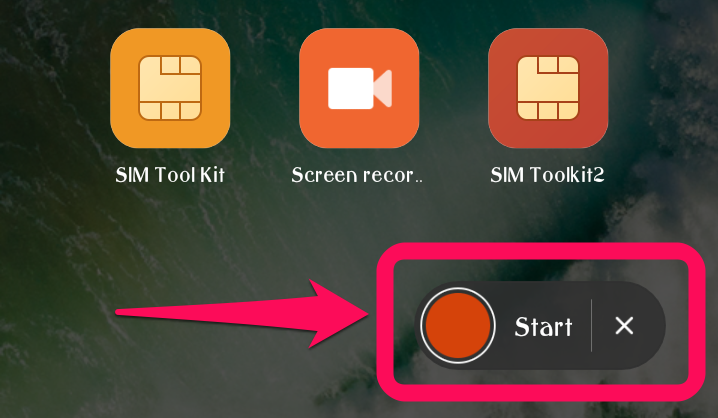 A few days back MIUI came up with its own Screen Recorder app with its latest Global Developer ROM Update. 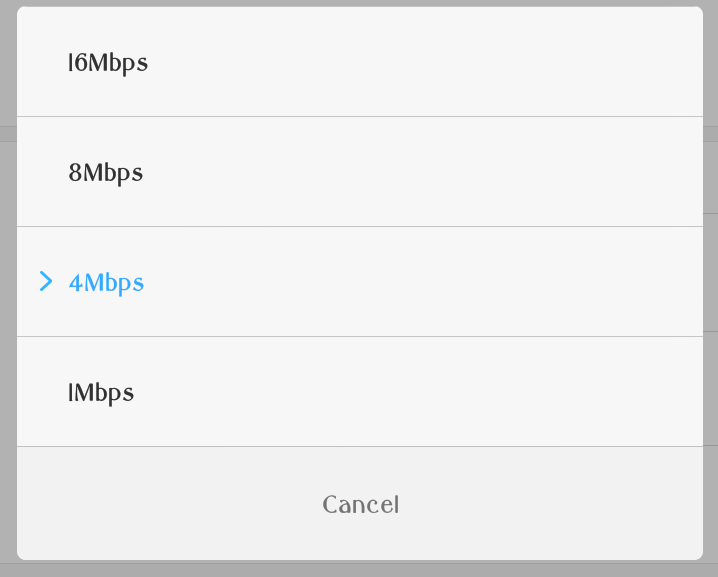 It was already available in the China ROM, and now it will be available soon for every MIUI Users with its upcoming MIUI Global Stable ROM Update. If you are not up to date with the MIUI then may want to know What’s new in the Latest Update of MIUI? 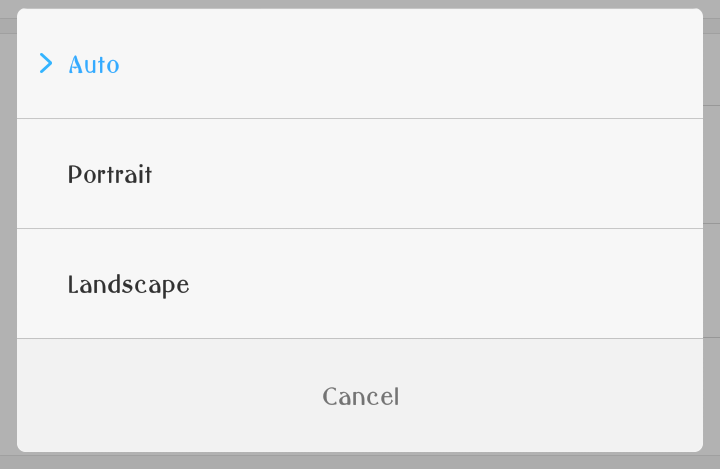 I know there are so many Screen Recorders already available on the Play Store. 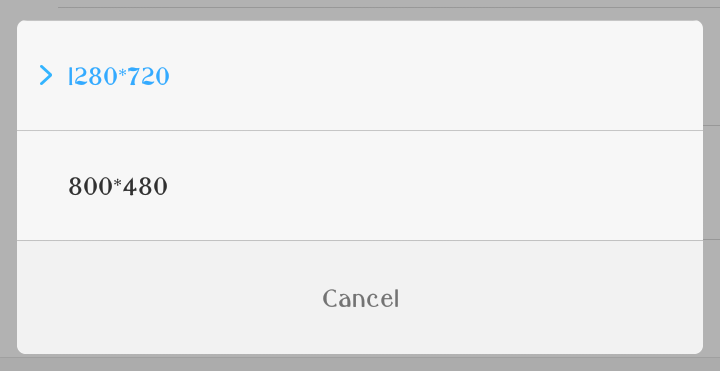 Therefore, the question is why you should use this one? On the other hand, how it is different? So let me show you people, ” My complete review of MIUI Screen Recorder app“. As I already told you, I know so many Screen Recording apps and all of them comes with great features and options. Like, AZ Screen Recorder, SCR Pro etc. Moreover, if you are one of them who are already using those apps, you may be looking for so many options like they gives you. In this point, you will get disappointed. There will be an Stop Icon and Timer which will show you the Recording Progress but it won’t be recorded or shown on the output video. 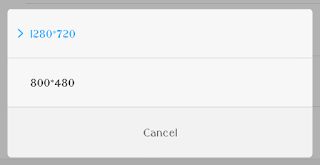 To STOP the recording process you just need to click on the “Stop” button as shown on the screenshot above. 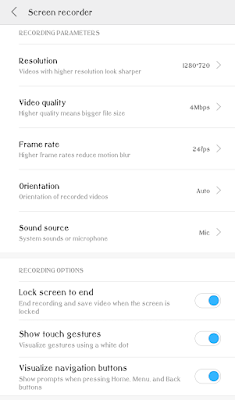 Now let’s check out the Features and Options of the MIUI Screen Recorder app…. You don’t need to Root your phone to use this app. Earlier if you wish to record the screen your phone than Root permissions were required. 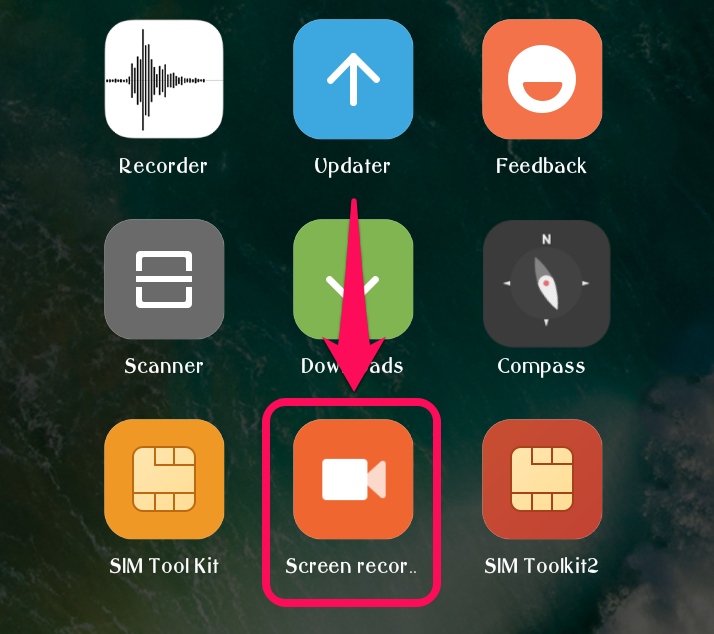 AZ Screen Recorder and SCR Pro also works without Root but if you wish to record internal sounds also than you will need to root your phone unless you are using MIUI. 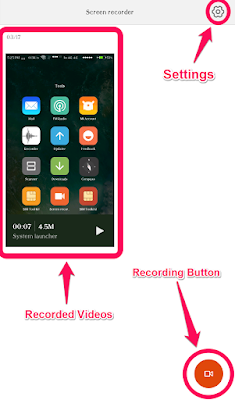 MIUI Screen Recorder also records Internal Sounds without Rooting your phone. 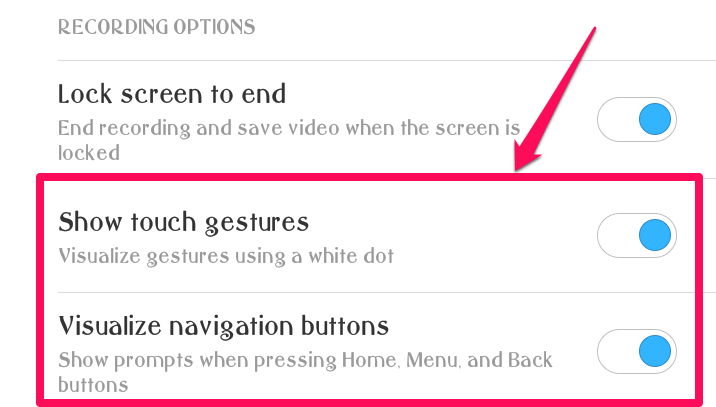 With MIUI Screen Recorder you can Visualize the touch gestures using a white dot on the recorded video. And you can also Visualize the Navigation Buttons on the video whenever it is pressed i.e., Now you can show which navigation button you just pressed on the video which are Back, Home and Menu buttons. It also Records the Tapping Sound whenever you tap on the screen. 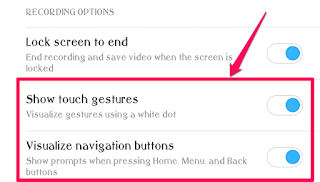 It can be helpful to understand when you tapped on the screen while watching the screen recording videos. Again there is nothing special to talk about it, you choose either Mic as the sound source for your video or Speaker. 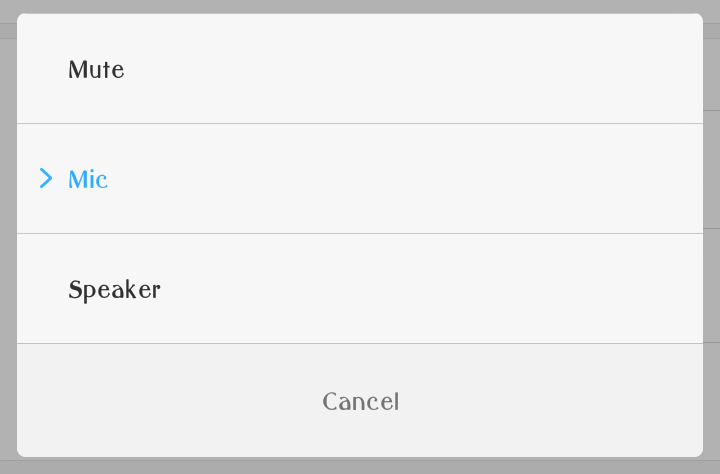 Or you can also record a Muted video by selecting Mute option. How it is different from others? Well, honestly speaking, it;s not so different from others and is a limited one too. MIUI Screen Recorder can Record Internal Sounds too without Rooting the phone. It Records a Tap Sound whenever you tap on the screen. 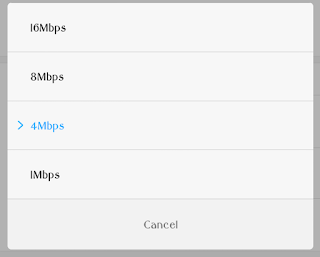 You may also want to read: How to use More than 20 Network Types on your MIUI Android Phone? Also read: 5 Amazing Android Photo Editing Apps, That you should know! Who can use it? Moreover, for what purposes? Mostly Developers and Tutorial Makers uses Screen Recorder apps like we do in our YouTube channel . But yet, everyone can use it as of their needs as it just records the screen of your phone. You can also use it to record and share bugs or problems of your device. So, yeah! Anyone can use it for any purpose. 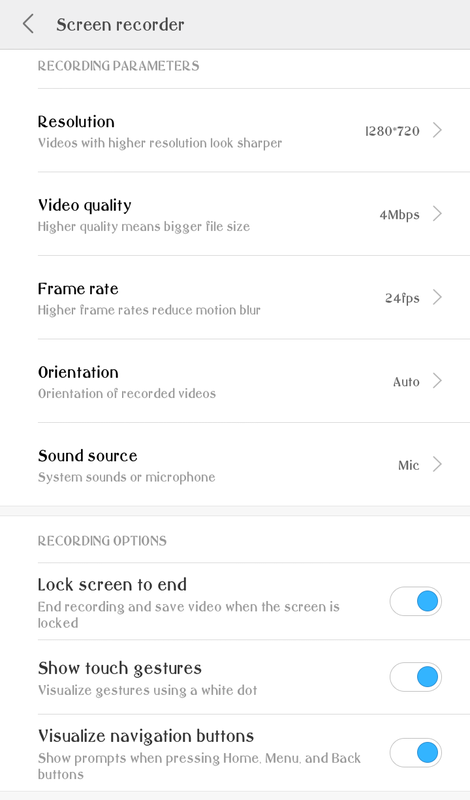 Let us know, How you use the Screen Recorder and What you think about the MIUI Screen Recorder in the comment box below. And do spread the knowledge by sharing this article with your friends and family. Thanks for sharing and reading this post! 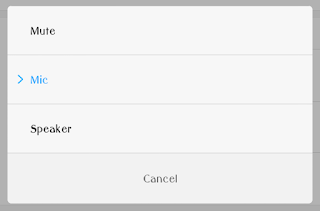 Previous story How to enable Chat Heads for Facebook Messenger App in MIUI Phones?